alaTest has collected and analyzed 687 reviews of Asus VivoTab Smart ME400C. The average rating for this product is 3.7/5, compared to an average rating of 4.3/5 for other products in the same category for all reviews. Comments about the price and portability are generally positive. The reliability and usability are also mentioned favorably, whereas there are some critical opinions about the apps. We analyzed user and expert ratings, product age and more factors. Compared to other products in the same category the Asus VivoTab Smart ME400C is awarded an overall alaScore™ of 86/100 = Very good quality. alaTest has collected and analyzed 46 user reviews of Asus VivoTab Smart ME400C from Amazon.co.uk. The average user rating for this product is 4.1/5, compared to an average user rating of 4.3/5 for other products in the same category on Amazon.co.uk. People are impressed by the portability. The design also gets good feedback. Some have doubts about the performance. Reviews are divided on the usability. 87% of the reviews on Amazon.co.uk give this product a positive rating. alaTest has collected and analyzed 358 user reviews of Asus VivoTab Smart ME400C from Amazon.com. The average user rating for this product is 3.6/5, compared to an average user rating of 4.1/5 for other products in the same category on Amazon.com. Reviewers really like the screen and design. The reliability and portability also get good comments. Views are divided on the performance. 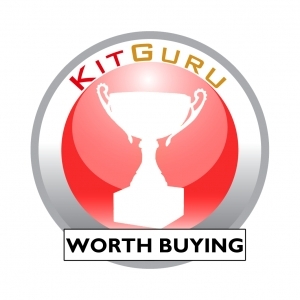 KitGuru says: An easy and fun to use hybrid device that has a good battery life and competitive price tag. Better hardware performance and the VivoTab Smart would be a formidable competitor to high-end tablets and entry-level laptops. Decent Tablet for the price but..
For the most part I am happy with it. For the price it is was a good buy.